Hello Friends, Many times, you want to annoy your friends or just want to disturb/irritate them, If you find yourself in such a situation then this post is for you. you can send Unlimited Number of SMS to your friends using our online Script. 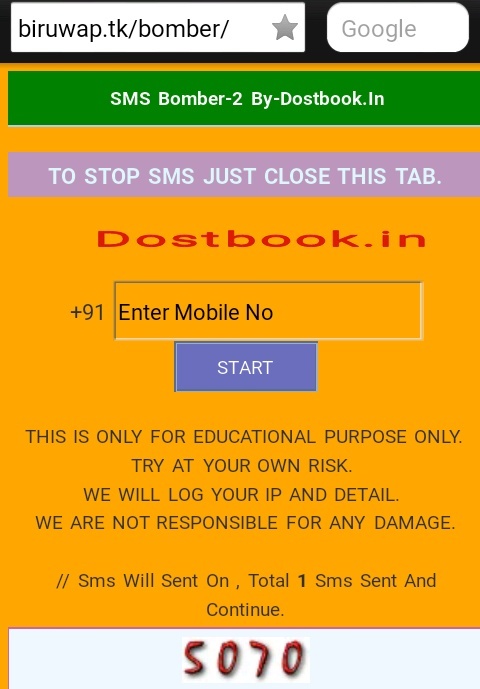 This is the exclusive Script, by dostbook.in using which you can send unlimited messages to your friends by entering their number in From below and they will get continues SMS, which will irritate them, so have some fun. Cellular phones use a Short Message Service, or SMS, to send text messages. Typically, cellphone users send one message at a time. However, an SMS bomber is a software program that duplicates the same message multiple times and sends all the messages to a friend as a joke. You download the software online bomber and send the SMS bombs using your phone’s text-messaging functionality. Fully Online, No need to Download and Sign up. Working Perfectly, No issues or Delays in Send Messages. Tested by our experts more than 100 time run this script. You can send sms upto 1 contacts at a time. Working On DND number also. No delays in send sms. Also use like a pro. How to Use Our sms bomber for Free? Then, Click on Bomb Now Button Simply, and you will see that number of SMS will be send to that person. So guys, if you want to prank with your friends by sending SMS with this sms bomber, then you come at right place. you may like this site, because you can send SMS bomber single click, without any issues. you don’t need to wait, will be sent instantly without any issues I Hope you have Liked this Post. Keep visit here for more tricks & Offers . hello admin, thanks. its working very nice and fast. can you help me with this script? 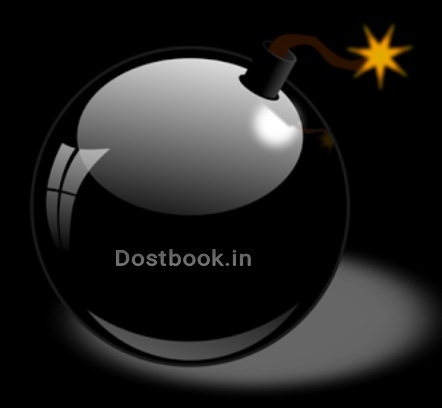 plz..
sms bomber to bahoot hi kmaak ka script bnaya hei….and working bhi bhoot mast karta hei. but this time it isn’t working.